Focus Audio Visual, in South Bend, Indiana serving Northwest Indiana, Chicago, and Western Michigan, is equipped to offer a wide array of digital signage and displays, kiosks, PA systems, and AV security and control systems for corporate and commercial applications. Advertising, information, and a live television broadcasts can be creatively arranged on the same digital advertising displays, electronic message boards or digital billboards to attract attention and deliver specific messaging to your customers. Focus Audio Visual, in South Bend, IN, utilizes the most advanced technologies available today to help your organization stay competitive in the face of great technological change in audio visual equipment. Our digital signage solutions include everything from commercial-grade displays and digital displays to unique, custom digital signage with content development. From LCD monitors for digital signage networks to hospitality TVs for in-room entertainment, we have the innovative digital signage solutions for your commercial environment. Our professional plasma TVs, HDTVs, LED or LCD display monitors will deliver the elegance and superb image quality for just about any installation - whether it's in a boardroom, classroom, hotel, or restaurant, while providing full integration in an automated environment. Further, we offer a digital signage solution that doesn't require time to sell, design, and support or allows for a unique set of features and support services. We'll portray your organization or your client in the best light. Whatever your kiosk requirements are, Focus Audio Visual has extensive experience in the planning, design, programming, and deployment of kiosks. We can help you refine your scope and understand the best components to select to accommodate your required functionality. 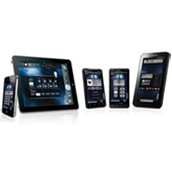 Our kiosk solutions involve evaluating and defining a package of hardware, software, and service customized specifically to the client needs. This includes the service offering, partner skill set, roll out plan (geography), work order flow, call center support requirements, service levels, and measurement. We'll expertly guide you through the process to create the appropriate kiosk interface design "look and feel", getting the application producing for your organization in a timely manner. One of the biggest complaints about audio visual equipment is almost always that it's too difficult to use. 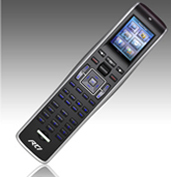 From our years of experience in designing and implementing audio visual systems, Focus AV knows very well the need for user-friendly AV controls because systems that are not simple to use - don't get used. We strive to assist you in making the right choices in choosing the controls for your audio visual equipment and systems. There are a wide variety of ways in which components and systems can be controlled and figuring out the way that will work best for you can challenging. Considerations must be made when developing a plan for an AV system and device control, but also, an understanding of who are the end users and how they work is the key to success. Options for system control can assist users with features they need to access regularly and provide help for them when assistance is not available. Focus AV has extensive experience and expertise in audio visual control systems design, integration, and implementation. We'll automate multi-step processes, provide multiple interfaces to the same AV systems, remote (off-site) control, diagnostics, and support. With the rapid pace of audio visual technology change, it's vital to maintain optimal control over your audio visual system and its components. Focus Audio Visual, with its partnership with renowned ICRealtime Security Solutions, designs security solutions that not only help organizations enhance the effectiveness of their crucial security operations, but also improve their overall business performance. 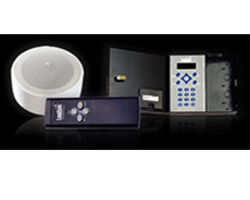 Controlled access to offices, warehouses, remote/unmanned buildings, or sensitive areas such as computer rooms, where real-time control and accountability of entry is important, is now a normal part of the business landscape. Detecting and identifying security threats instantly is one of the most critical challenges facing organizations today. Focus AV will design a systems of video/ biometrics software, hardware, and accessory integration that will identify threats as they occur with automatic alert management of potential security breaches. With easy event-driven access, a Focus AV designed and integrated solution enables users to immediately review events and investigate incidents as fast and as effectively as possible. Office noise and lack of speech privacy negatively affect employees’ concentration, slow task performance, increase the likelihood of errors, and threaten the continuity of creative thought. Acoustic problems also impact comfort, stress levels, and morale. Focus AV has teamed with the LogiSon® Acoustic Network to address this problem by distributing an engineered background sound throughout the workplace. 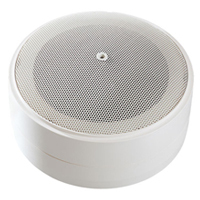 The sound covers conversations and noise, while remaining comfortable and unobtrusive. This technology is one of the smallest investments you’ll make in your facility, but one that can greatly impact your bottom line by defeating workplace noise, striving for silence. Too often, workplace noise control and speech privacy strategies aim to make a space as silent as possible. There is an acoustic comfort zone, but as with light, temperature and humidity, it’s not zero. This ideal acoustic comfort zone is determined by the workplace’s noise floor which is the level of continuous sound that characterizes the space. If the noise floor is too high, the environment is irritating and tiring. If it is too low, conversations and noises are easily overheard, affecting employee speech privacy and concentration. In open-plan offices, the noise floor is usually so low that conversations are intelligible from up to 50 feet (15.2 meters) away. Noticeable rises and falls in sound over time, and across the workplace, make it even more difficult to ‘block out’ the distractions caused by noise problems. Achieving acoustic comfort through sound masking is part of a proactive approach to providing employees with the productive space they need to excel. It is the only acoustic treatment that can maintain the noise floor at a level between 42 and 48 dBA. 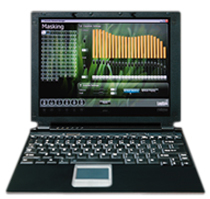 Focus AV offers both hardware and software-based controls allowing you to manage the settings and zoning for a loudspeaker,a group of loudspeakers, or an entire campus from the control panel or your computer using the Acoustic Network™ Manager Software. Changes can be made in minutes following renovations, moving furniture or personnel. The ease of future reconfiguration and low energy needs reduce lifecycle costs while ensuring peak performance and occupant satisfaction at all times. 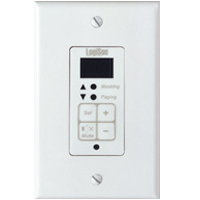 The LogiSon Sound Masking System is a revolutionary sound masking, paging and music system. Its networked technology helps ensure you obtain the best possible results with speed, ease, and versatility. 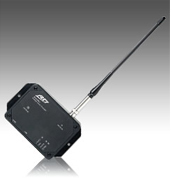 Focus AV offers expert support in implementing this unique sound marking system in your work setting. Increased comfort and silence can indeed be golden for your organization. 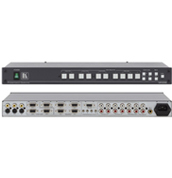 With all of the new audio-visual technology that we offer, we had to supply a comprehensive set of connectivity and accessory solutions necessary to use it. 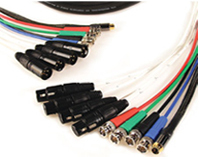 Some of the important considerations in cabling selection are, for example, what kind of signal will it need to carry? What length do you need? 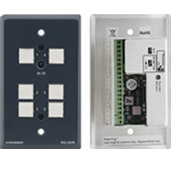 What are the installation considerations? Focus AV is well versed in the vast array cables that integrate and transmit sound and video to make your system come alive. 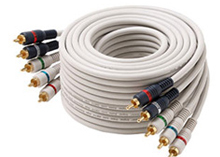 From multi-channel analog audio, speaker, and XLR cables to coaxial audio-video, high-speed HDMI, and home theater cables, these digital highways are important glue in any audio visual system for optimal functioning. 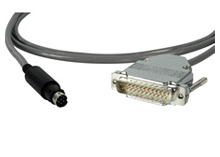 Further, the quality of the connection between the wire or cable and connector is just as important, if not more so. We've partnered with CablesToGo and Tecnec Distributing to supply everything necessary to make your audio visual system perform at its highest level. 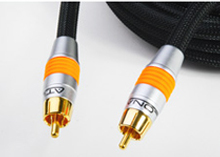 For any project, you will receive the highest quality connectivity products from Focus Audio Visual with service and support to match.